We were extremely excited to enter the park after the wait of almost 3 months. Though it’s always difficult to track the tiger movement during the very first drive but to just be able to see the beautiful jungles of Kanha, was a reward it itself. During the first 15 days of October only two zones are currently open for tourism while the remaining two are due to open from 16th onwards. We were the first gypsy to enter the park and saw some Spotted deer, Gaur and entered Mukki zone. The lush greenery of post monsoon Kanha was impressive indeed. Suddenly we saw really good male and female tiger tracks which seemed to be just a day or two old. As I always say, that every turning of the park is full of suspense. Suddenly someone in the jeep exclaimed “tiger” and we stopped to see an adult male sitting on road. Since there was a considerable distance, we weren’t sure about the identity of the tiger but the help of binoculars, we identified it to be Chota Munna (T29). We were the first one to see a tiger in Kanha in 2017-18 season. 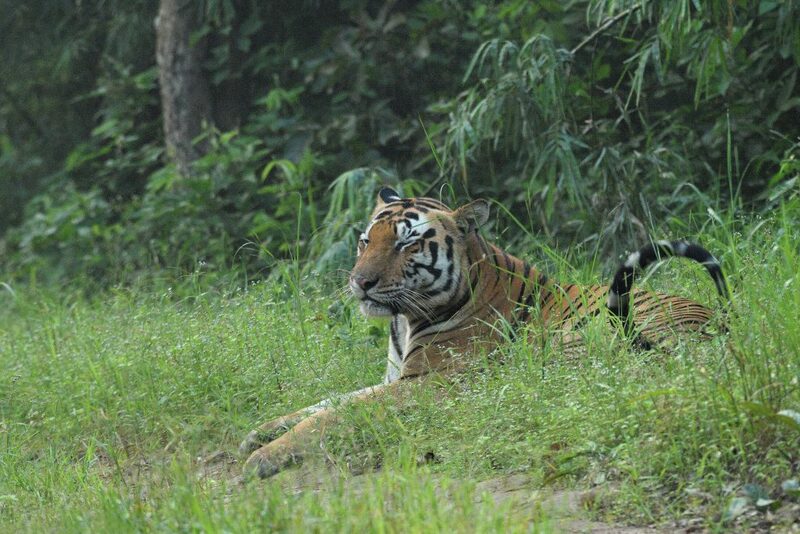 It was indeed a great sighting of almost 20 minutes of him sitting in the grass when he seemed to get bored of the attention and disappeared in the bamboos. No matter how long I have been a naturalist, it’s still a humbling experience to see an adult male tiger in all his glory. The rest of the drive was beautiful too with some great birding. Next day we entered Kisli , the first half was a little quiet, so we decided to do some birding. We enjoyed our breakfast in the jungle and planned to check the place where some other guides heard alarm call in the morning. We stopped at that spot and saw two alert Sambar deer, but we could not understand as it was all very quiet. We planned to check for Barasingha (endemic to Kanha). As soon as we drove barely 100 meters, a tigress jumped in grass. We were caught by surprise. The guests tried to click some photographs, but only managed to get some record shots. It was later in the evening I identified it as a shy tigress called Zila line female. During the evening drive, we heard some alarm calls from an unexpected area, we reached that spot and saw this big male tiger called “Karaighati” walking on the road. Later in first week too there have been sightings of Chota Munna with a scar on his face, Umarpani male, Supkhar male, Mahavir female with cubs and Dhwajhandi female, who has delivered her first litter too. 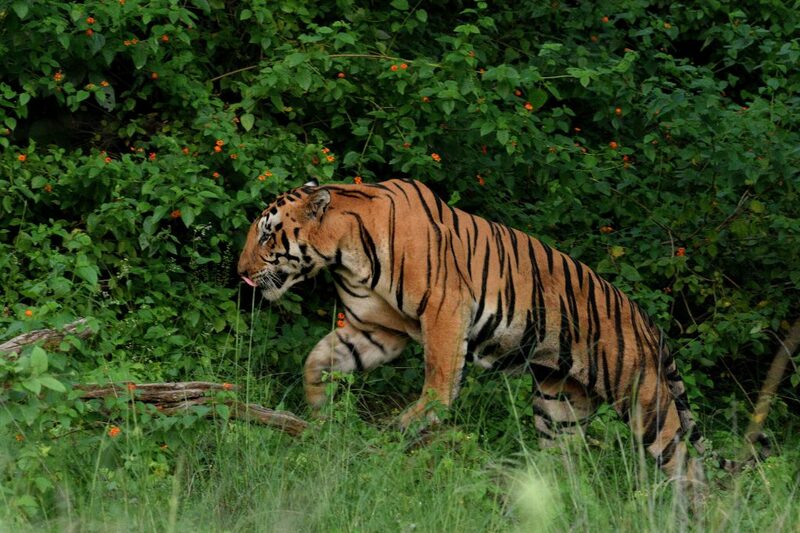 We have also heard about a new male arriving in Kanha named, T-50 or Navpathra male. 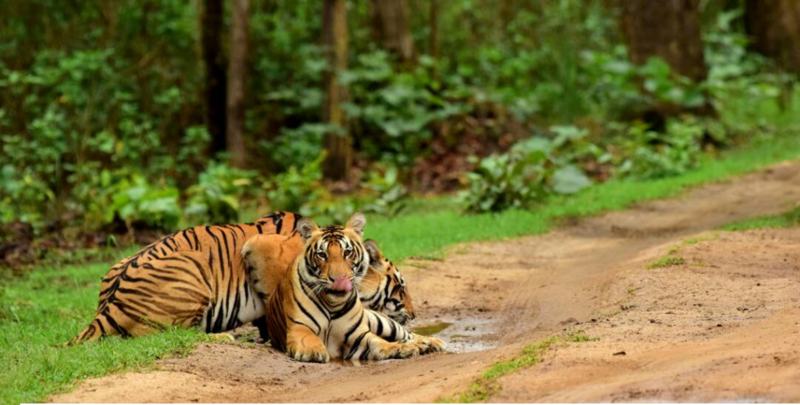 The season has started on such a promising note and we hope to explore Kanha zone once it opens on Oct 16. Posted on October 9, 2017 by pugdundee blog. 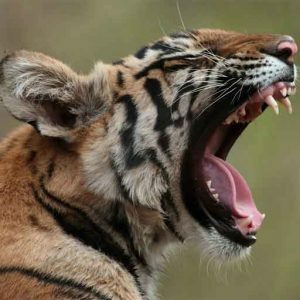 This entry was posted in Tigers, Travel, Wildlife, Wildlife Safari and tagged tiger safari in kanha, tiger sighting in kanha, tiger spotting in kanha, tigers of central india, tigers of kanha, tigers of kanha national park, wildlife safari in kanha. Bookmark the permalink.